Australian Prime Minister Malcolm Turnbull has suggested invoking the ANZUS Treaty (Australia, New Zealand, United States Security Treaty) should North Korea attack Guam or the continental United States, as it has threatened for several weeks. 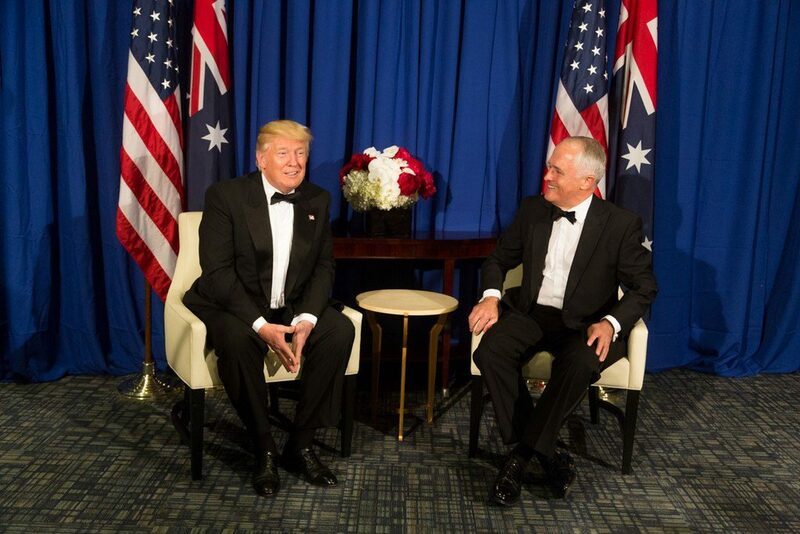 – ANZUS was created in 1951 with a commitment to consult and possibly act in the case of an attack against any of the signatory nations, and has become a core aspect of Australian security policy. – New Zealand, while technically still a part of ANZUS, has long been suspended. In an increasingly volatile security environment its suspension may be detrimental. – ANZUS’ ambiguous language and Australia’s unquestioned attachment to the US have remained key criticisms of the treaty, despite its continued political importance. The ANZUS Treaty has been a staple of Australia’s security policy, invoked numerous times in its relatively short history – most notably after the September 11 terrorist attacks by then-Prime Minister John Howard. The treaty has provided a strong sense of security and stability for Australia, as well as a means of extending US hard power regionally to counter perceived political and economic threats. However, geopolitics has become far more complex and interdependent since the Cold War when ANZUS was conceived. 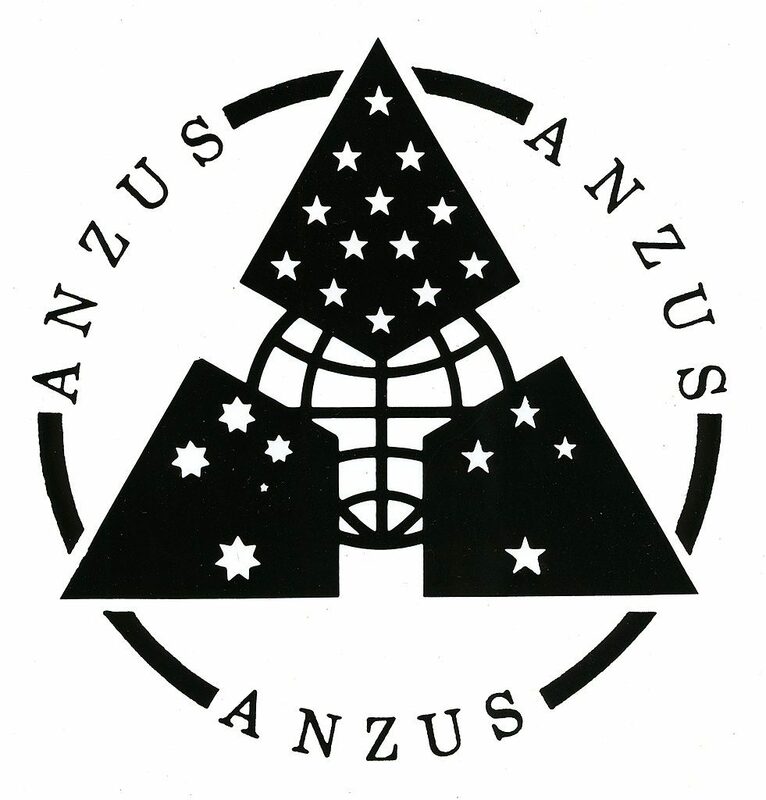 ANZUS was created in 1951 as a direct response to a perceived threat of communism during the height of the Cold War. With both Australia and New Zealand moving away politically from the UK and becoming more independent during World War II, both nations saw the US as a closer—militarily stronger—ally, particularly against the threat of Japanese expansionism. This close relationship continued after the war’s end in 1945 and into the Korean War, where Australia and New Zealand followed the US in support of South Korea. With the spread of communism becoming the primary threat perception for all three nations and war with Japan still raw in the public conscience, they concluded the ANZUS treaty in San Francisco in 1951. The treaty binds the three signatories to consult and, if need be, react militarily in the case of an armed attack on any signatory. ANZUS’s binding aspect has made the treaty an enduring and crucial aspect of Australian and US security policy. While it was and remains a somewhat controversial treaty owing to its rigidity and ambiguity, ANZUS nations have been engaged in regionally significant conflicts such as the Malayan Emergency, the Vietnam War and more recently global conflicts such as the Iraq War in 2003. Its most recent activation by Australian Prime Minister John Howard after 9/11 is still one of ANZUS’ best known implementations. 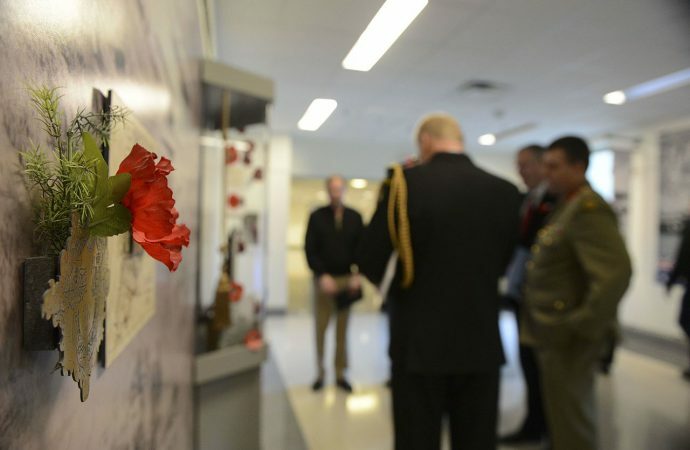 Australia contributed over 1500 troops and New Zealand provided military hardware to support the US-led invasion of Afghanistan and toppling of the Taliban, even though Wellington officially condemned the conflict. These previous activations of ANZUS occurred despite the lack of direct attack perpetrated against an ANZUS nation by a foreign power. ANZUS remains Australia’s key defence alliance, and numerous defence white papers and foreign policy strategies have placed ANZUS at the heart of Australia’s regional and global outlook. ANZUS endures despite continued friction with New Zealand and the treaty’s potential problems in reacting to modern issues. New Zealand, while technically part of ANZUS, has been suspended from the treaty since the 1980s when its Labour government enacted legislation banning nuclear powered and armed ships from entering the nation’s waters. This legislation—a result of a strong anti-nuclear movement campaigning against French nuclear testing in the Pacific and US President Ronald Reagan’s belief in aggressive military confrontation of the Soviet Union—effectively banned all US Navy vessels from New Zealand waters. As a result, Wellington was suspended and the two nations endured years of frosty relations, with some US lawmakers calling for sanctions and the drafting of a new, bilateral Australia-US security partnership that excluded New Zealand. In recent years, this hostility has become less of an issue with both nations engaging in lengthy, backdoor diplomacy to resurrect their security and defence partnerships. The US and New Zealand signed the Wellington Declaration in 2010, which essentially ended the last 25 years of animosity. Yet in the interlude, it forged a vastly different diplomatic path, distancing itself from the US and building partnerships with Pacific neighbours, while Australia continued to edge closer to the US in foreign and security policy. New Zealand is still technically suspended from ANZUS and its obligations. Despite the improved US-New Zealand relationship, neither is obliged to act if the other is attacked by a foreign power. Given North Korea’s rhetoric and threats against US interests, New Zealand’s failure to negotiate its re-entry into ANZUS or draft more flexible, bilateral agreements with Australia and the US leaves it in an awkward diplomatic position. DOES ANZUS NEED A MAKEOVER? While it is almost certain that in the case of a military escalation the ANZUS treaty would be evoked, Prime Minister Turnbull’s threats of activating risked elevating the verbal contest even further. ANZUS has long been a part of Australian foreign policy and provided both the nation and the wider region with a sense of stability and security. But in an increasingly volatile political and military climate, ANZUS itself is not so clear-cut. Its ambiguity has left many questioning exactly what, if anything, ANZUS provides other than an agreement to collaborate. Especially in the current era of transnational terrorism, what defines a ‘foreign power’ is up for interpretation. Turnbull’s comments may have wide-ranging ramifications within the region if a new war of words with North Korea over its recent missile test of Japan descends into conflict. Broad geopolitical developments are slowly forcing Australia to choose between its military and security relationship with the US, or its economic partnership with China; dragging the nation into a conflict with North Korea pre-emptively under ANZUS’s framework risks bringing this uncertain decision to a head. The consequences for Canberra—whether it be the loss of its major security guarantor or primary trading partner—would be dramatic. ANZUS is in desperate need of a modern-day revamp to deal with its many shortcomings, and to adapt to a vastly different political climate. Failure to address its many issues—ranging from New Zealand’s status, the text’s ambiguous language, its regionally exclusive security outlook that ignores nations like China, and new challenges like terrorism, climate change, and the omnipresent threat of a nuclear North Korea—leaves statements such as those by Turnbull open to misinterpretation and miscalculation.